CLEMSON -- Coming off two consecutive losses, Clemson basketball was looking to get back into a winning rhythm after eight days without a game. We’re not sure if barely escaping Saint Peter’s (2-6) was what head coach Brad Brownell had in mind. It was ugly, but the Tigers were able to scrape their way past the Peacocks 65-60 on Tuesday night. A Clyde Trapp circus layup with 36 second left put Clemson up by three points. A stop on the other end and two made free throws by Shelton Mitchell and Elijah Thomas put this game, and Clemson fans, out of their misery. The Tigers were led by Marcquise Reed’s 21 points on a 6-of-15 clip. Nine of his 21 points came at the foul line. With under a minute to play, Reed went up for a layup and came down holding his left knee while banging the floor. Reed, a senior guard, has been Clemson’s leading scorer averaging 19 points and six rebounds per game. This could potentially be another devastating blow to this basketball program due to injury after losing Donte Grantham last Janurary. The good part of having eight days off was Elijah Thomas getting to full strength, health-wise. But the bad news was Thomas didn’t start tonight due to a disciplinary issue. Brownell said he was holding Thomas the 10-minute mark in the first half. Thomas finished with 17 points and 12 rebounds in the 26 minutes he did play, including a layup that erased a Peacocks one-point lead with just over five minutes left. The Tigers had to win by making the plays that aren’t exciting. That meant taking trips the free-throw line and converting from there. Clemson made 23-of-30 foul shots while Saint Peter’s only converted 4-of-6. With the game tied with two minutes to go, Shelton Mitchell made a layup and the Tigers never lost the lead from there. Saint Peter’s ability to make three-pointers kept them in the game all night while giving Clemson everything it could handle. The Peacocks made 10-of-21 three-pointers while Clemson only shot 14 percent from behind the arc (2-of-14). 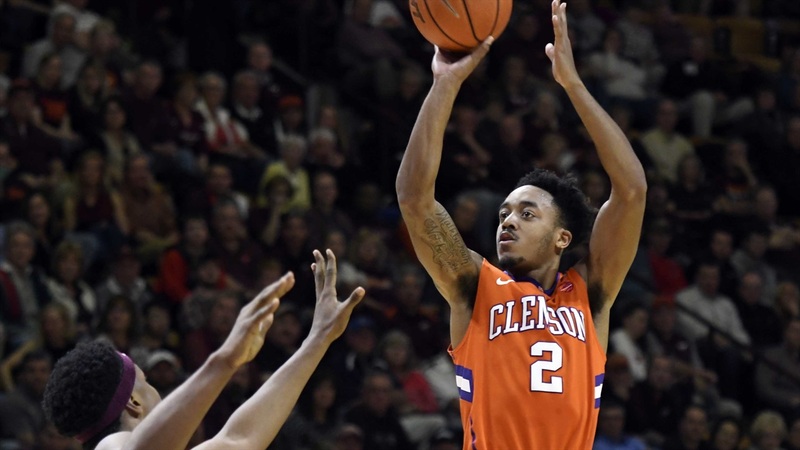 Not being able to make threes has been a trend for Clemson in its last two losses. Against Nebraska, Clemson only made 4-of-12 from behind the arc. In the loss to Creighton, the Tigers were 5-of-19. Doing the math, Clemson has only made 24 percent of its threes in its last three contests (11-of-45). That’s going to have to change. The Tigers, who moved to 6-2 on the year, will travel to Newark, New Jersey to face a ranked Mississippi State team on Saturday. Judging by the team’s performance tonight and another bad injury on his hands, Brownell should probably be “very concerned” in general.